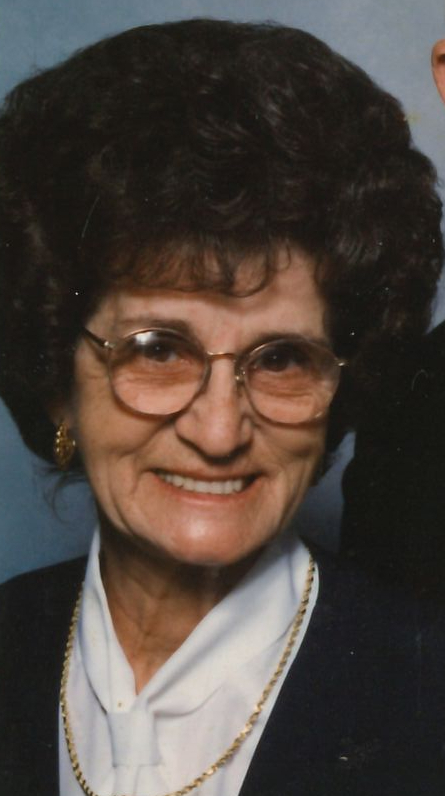 Services for Elizabeth Louise Tanksleary, 88 of Muldrow, Oklahoma will be at 11:00 AM on Friday, March 29, 2019 at Calvary Missionary Baptist Church in Muldrow, Oklahoma. 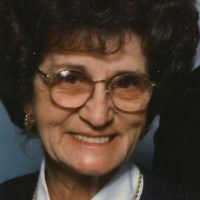 Burial will follow at U.S. National Cemetery in Ft. Smith, Arkansas under the direction of Agent Mallory Martin Funeral Service, Inc.
She was born on February 25, 1931 in Ft. Smith, Arkansas to Lucille (Campbell) Campbell and Jesse Campbell and passed away on March 24, 2019 in Muldrow, Oklahoma. She was married to Troy Dean Tanksleary on January 24, 1948 in Ft. Smith, Arkansas. He preceded her in death on November 4, 2010. Mrs. Tanksleary was a homemaker. She was known by many names, to her grandchildren and great grandchildren she was their “Ninnie”, to her church grandchildren she was maw maw, mam maw and Mrs. Liz. She taught the “Tiny Tot Class” at every church she attended. To her church family she was Mrs. Liz, Beth, Bess. The love of her family was her greatest joy. She enjoyed watching her great grandchildren playing in the flower beds or just dig in the dirt! Another joy of her life was cooking, there were times on Sunday afternoon that half of the church congregation would be seated around her kitchen table and she enjoyed every minute of making people happy with her food. Her flowers were another joy in her life, rose bushes, irises, house plants, She could grow anything!. She was preceded in death by her parents, husband: Troy, brothers: J.T. and Samuel Campbell, mother and father in law: A.P. and Clara Tanksleary, nephew: Ricky Campbell and favorite son in law: Farrell Reed. Active pallbearers will be Donald Barnard, Allen Gibson, Paul Gibson, Joe Berryhill, David Lynch and Dustin Crawford. Honorary pallbearers will be Billy Barnes, Ralph Erwin, Bill Don Barnes, Norman Westberry, Larry Brown, Lee Westberry, Tony Westberry, and the Men of Calvary Missionary Baptist Church . Viewing will be 11 AM – 8 PM Thursday at Agent Mallory Martin Chapel in Muldrow, OK where the family will greet friends from 6 – 8 PM.